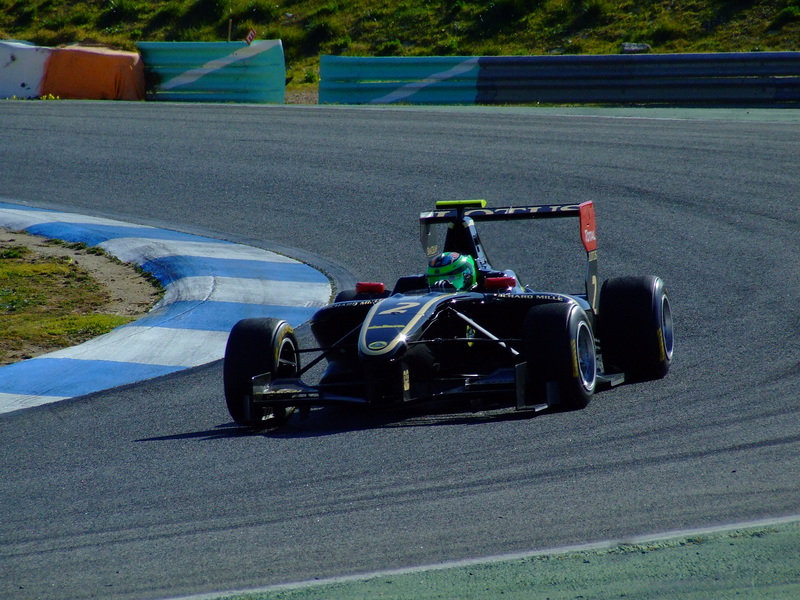 We continue to explore the wonderful world of GP3 racing, this time with Conor Daly. Q: You were able to test both Formula 3 and GP3 machinery recently, how do they compare? Conor Daly: The F3 car is lighter and more nimble but has a lot less horsepower. It is a fun car to drive for sure! GP3 car is heavier but faster and is a bigger car overall. Q: Regarding Estoril test, what do you make of the circuit? CD: I really enjoy the Estoril circuit! I think it is a very technical track that rewards drivers who know it the best. Most of the time I found during the two day test was in a few line adjustments on track and adjusting my driving in a few corners. The track is also physically demanding which is always good! Q: We saw quite a lot of marbles on the track in Estoril, how were the tires behaving? CD: I thought the tires were performing quite well for the amount of stress the track puts them through. On long race runs the tires did not go off as much as I thought they would. Q: In F1 they like to mention ‘circus’; in MotoGP people talk about ‘family’, but how would you describe the atmosphere in GP3? CD: GP3 is a very competitive atmosphere because we race on the same weekends as Formula 1 so every young driver wants to prove themselves. The drivers respect each other but I wouldn’t quite say it’s a ‘family’ environment. I enjoyed competing in GP3 my first season and really hope to have a second season this year! Q: Racing in Europe and USA – what are the main differences? Where do you see yourself in the future? CD: Racing in Europe is very different. It’s hard to describe really, in America the fans are more involved in the race weekends and it’s almost more of a friendly environment. The racing is just as competitive at the front on both continents but in Europe, especially in GP3, there are a lot more drivers who are competitive and can win races. I would like to keep racing in Europe because my goal is to get to Formula 1! The only way you can get to Formula 1, is racing in Europe. Q: We often hear about motivation in motor racing, what motivates you? CD: I love everything about racing, it’s in my blood. The feeling you get when you’re on the edge going as fast as possible and getting rewarded with a win or a pole position, there is nothing like it. The accomplishment of getting a good result, winning a race, is so incredible! You are doing a good job there Iberian, great interview with a young up and coming driver, keep up the good work…..